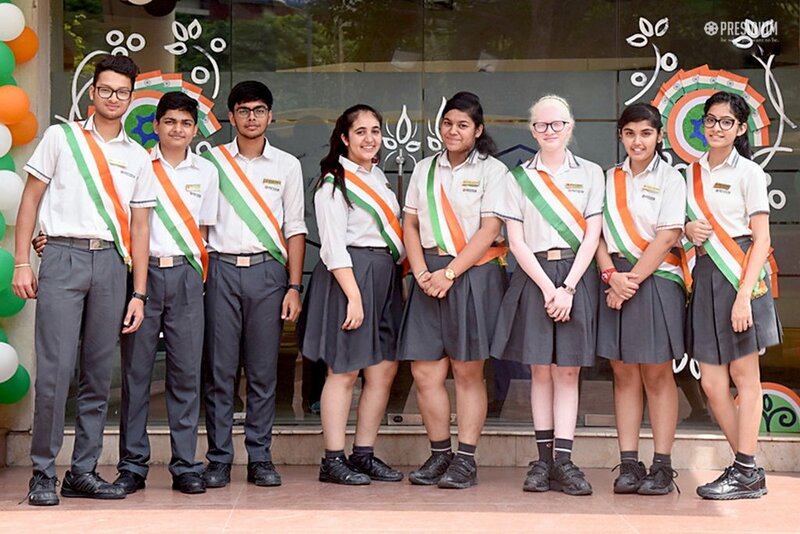 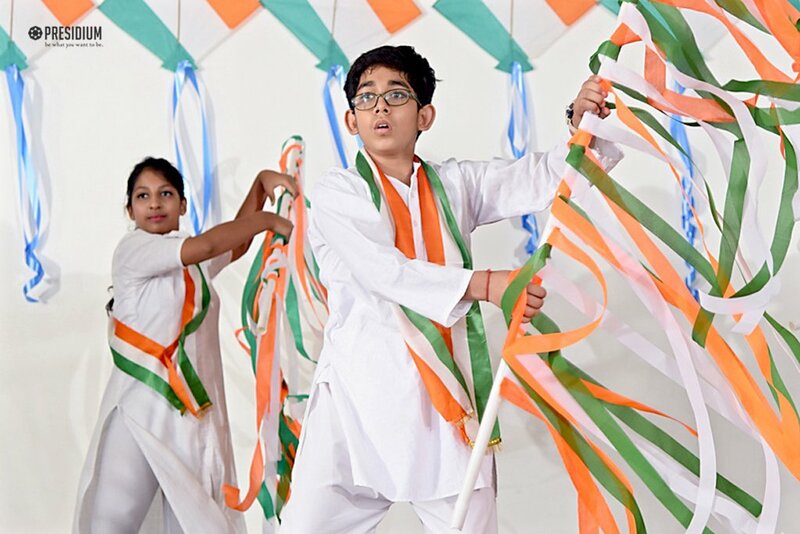 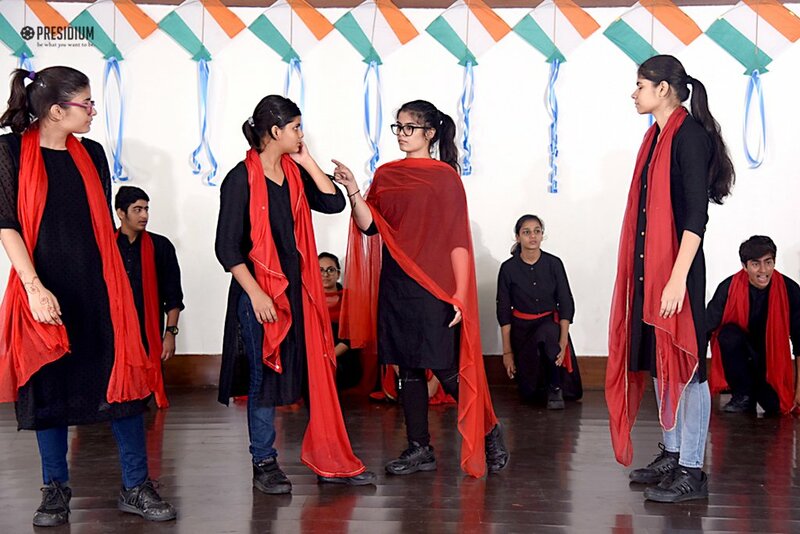 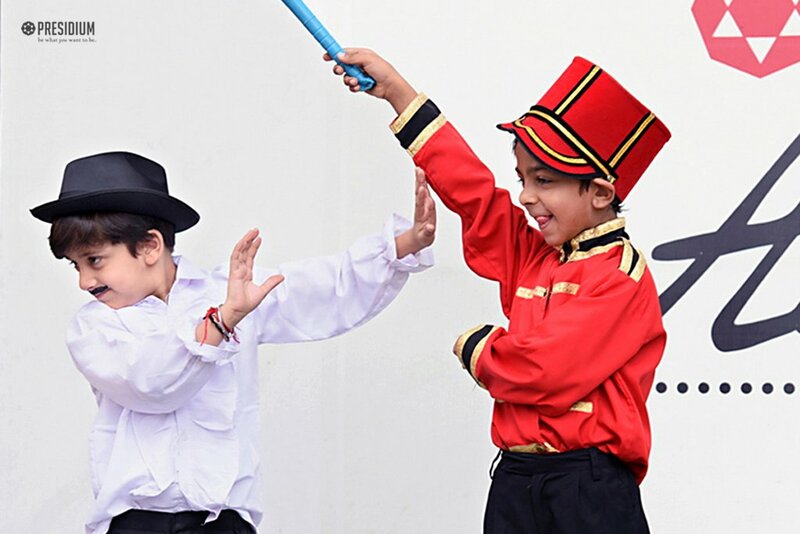 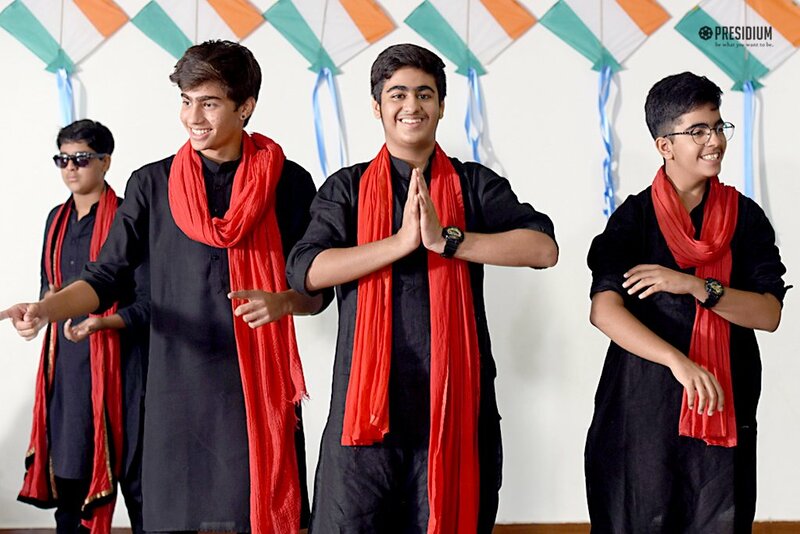 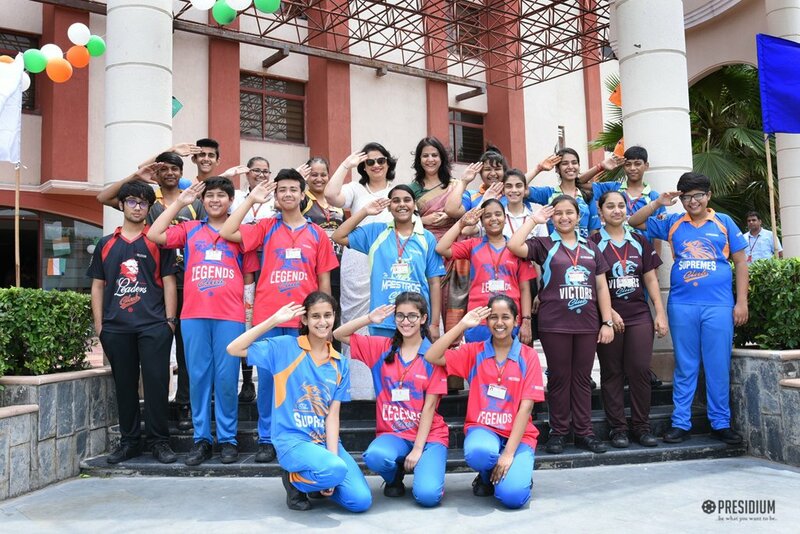 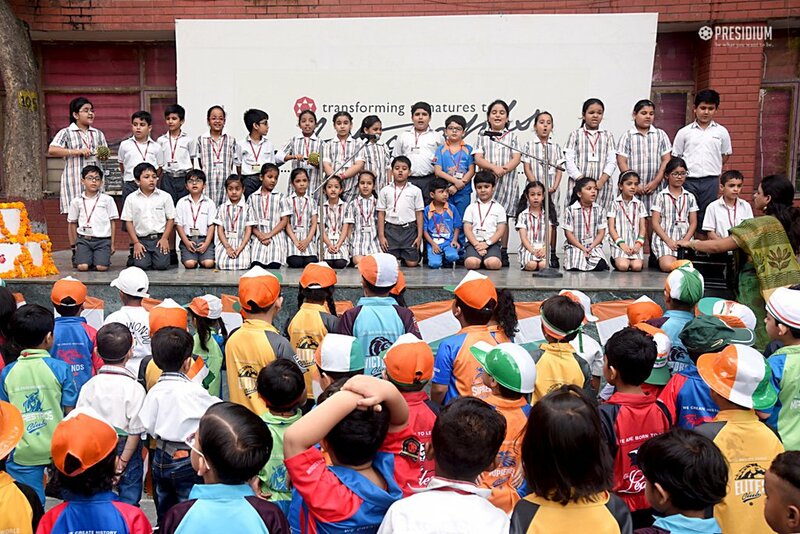 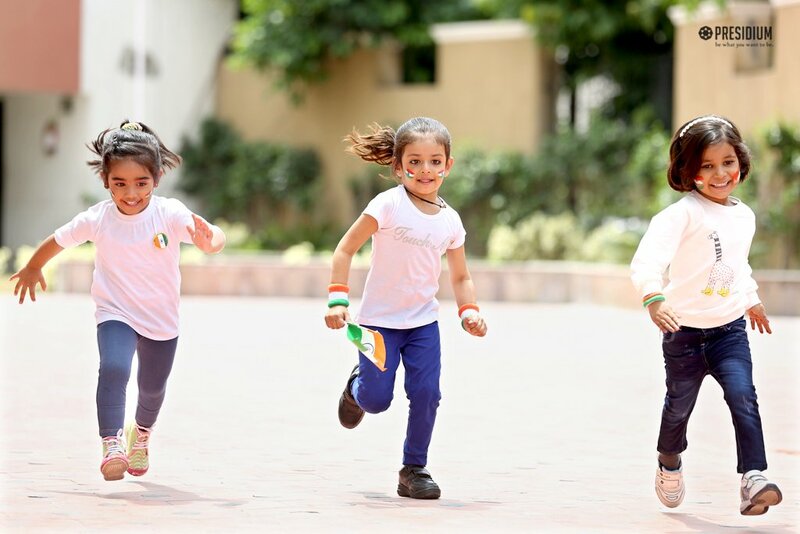 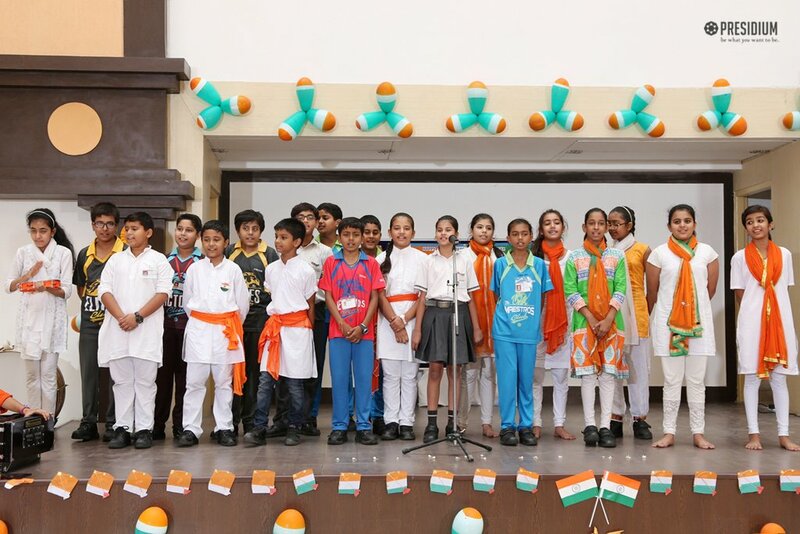 Firmly believing in positive character-building of children by fostering spirit of patriotism in them, Mrs. Sudha Gupta, the honourable Chairperson of Presidium, recently celebrated the 71st Independence Day with our students. 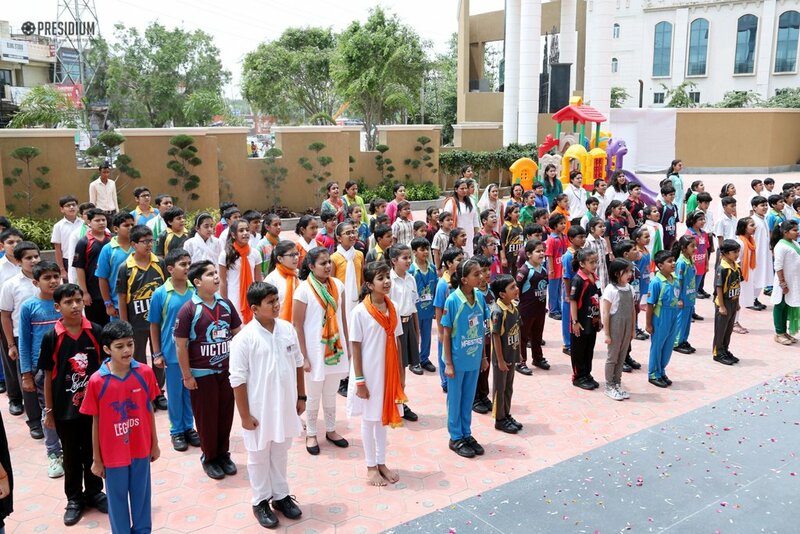 Eagerly waiting to greet the dignitary, the Presidians were received with unmatched warmth by the chairperson. 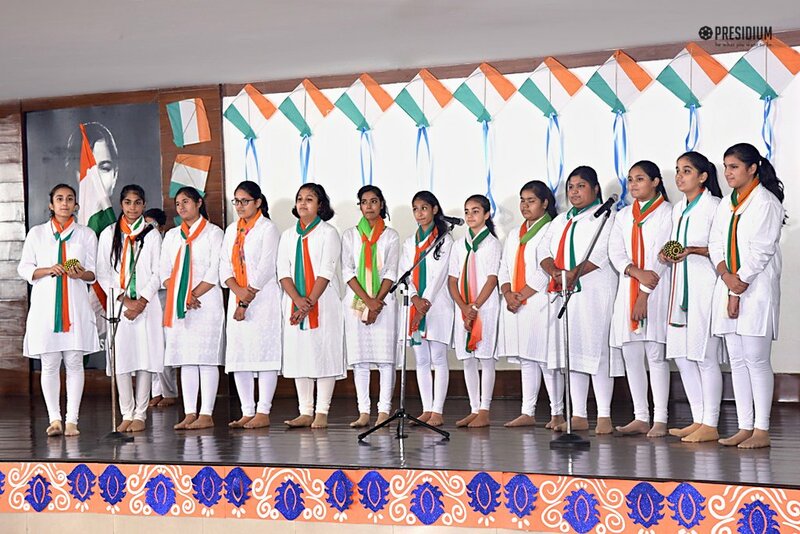 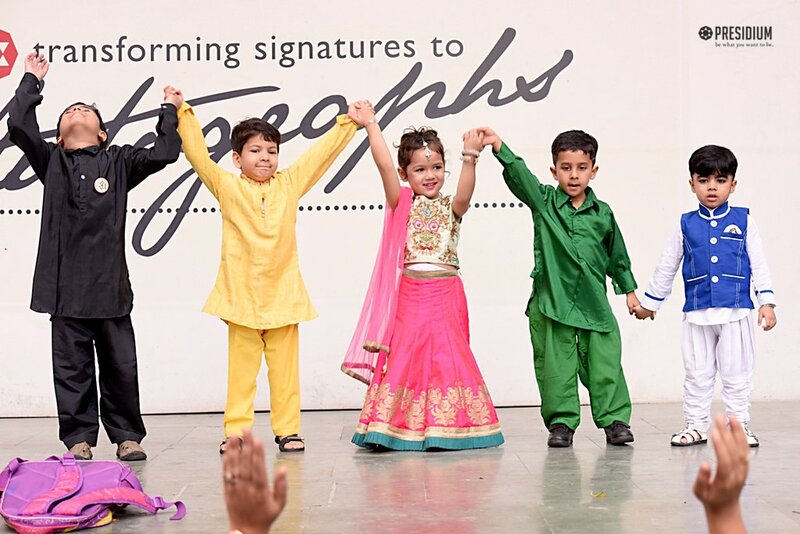 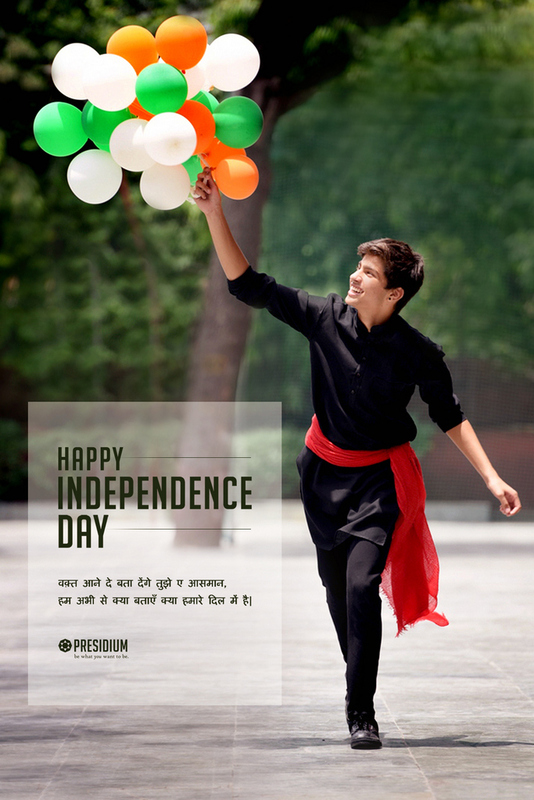 The hearts of our young Presidians are packed with voluminous love and respect for their motherland and on this fine day, they came together to pay respect and homage to our country's freedom fighters. 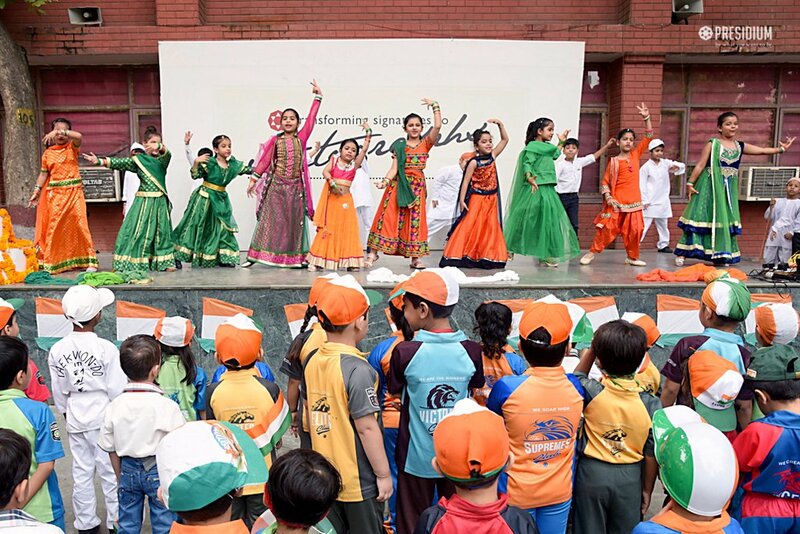 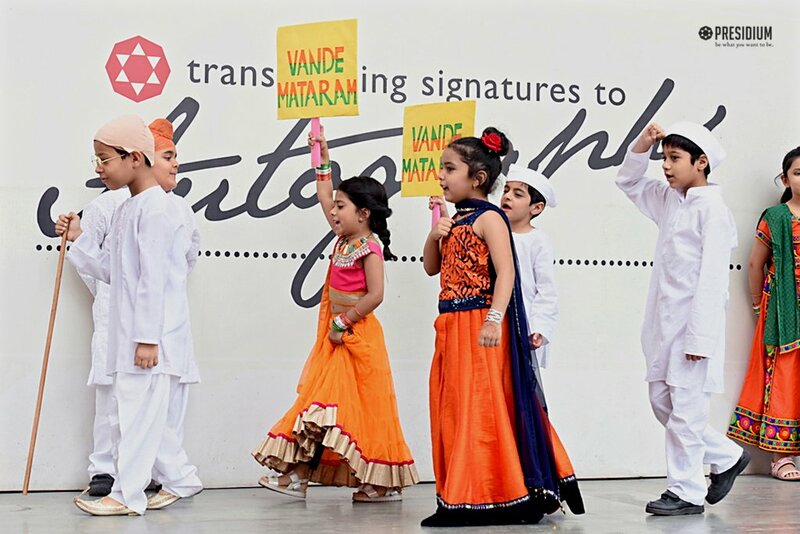 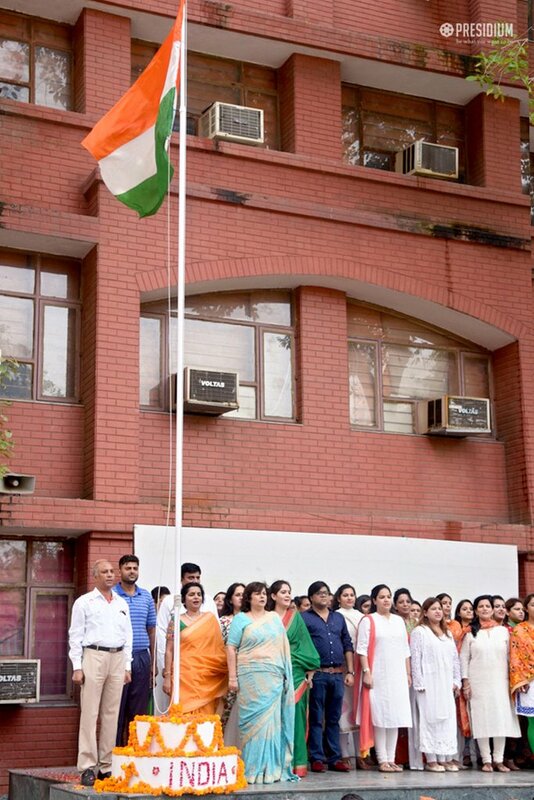 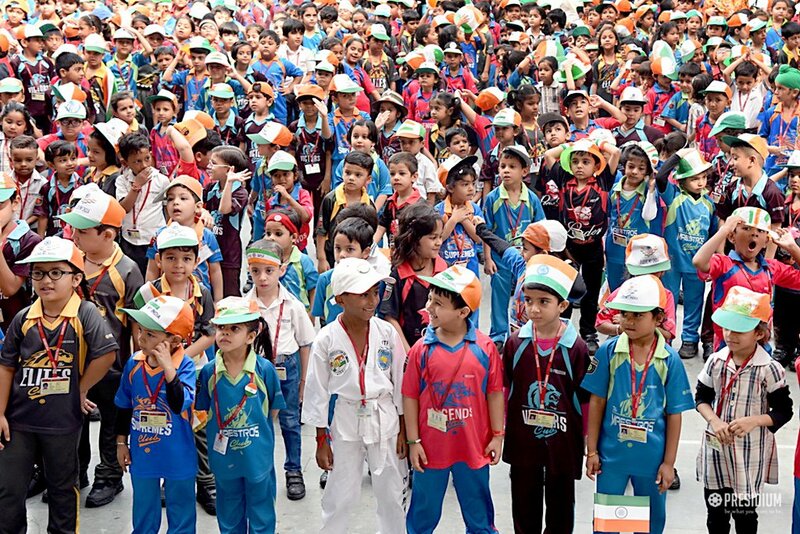 Exchanging warm wishes on this glorious national festival with the 'leaders of tomorrow', Mrs. Gupta hoisted the national flag with towering honour, inspiring the children to do their bit everyday for the wellbeing of our magnificent nation India.